Sydenham High’s Contemporary Dance Company has hot-stepped their way to not one but two major opportunities. The dance company has won through the first round of auditions for the national U.Dance 2017 competition and will perform at Trinity Laban in the semi-finals on Sunday 12 March. They are one of only nine school groups selected for this prestigious event and this shows the quality of both dancers and teachers. The winners of this semi-final will go through to the national finals at the Birmingham Hippodrome so the stakes couldn’t be higher. No sooner had they absorbed the news about U.Dance than they received an exciting invitation to perform at the National Maritime Museum’s newly opened Queen’s House at 12pm the day before (Saturday 11 March). 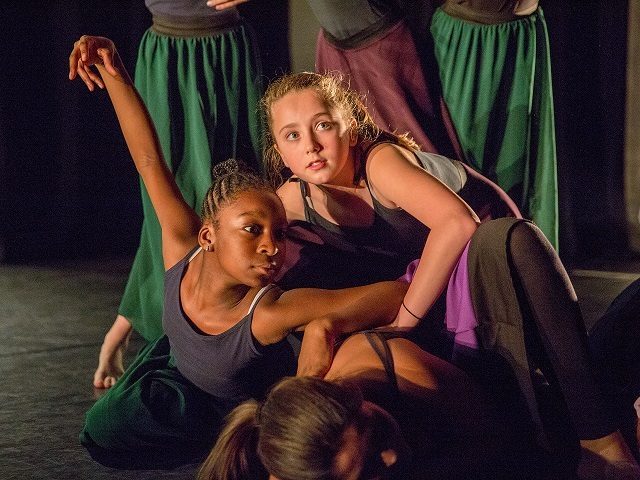 They will be collaborating with Greenwich Dance in a youth project entitled Women Making Waves as part of Women’s History Month. To prepare for their performance, the students will first visit the Museum to explore the special exhibition Emma Hamilton: Seduction and Celebrity, where they will learn about a pioneering performing style that captivated audiences in the late 1700s. They will then work on creating their own show dance during their dance sessions at school, ready to perform. Entrance to the Maritime Museum performance is free to anyone visiting the Queen’s House in Greenwich on the day. Tickets for the U.Dance event are available from the Trinity Laban website.